Indian Railways reduced vacancies for the Information Technology engineers to 29. RRB JE Revised Vacancies Notice. RRB JE Official Notification expected release date 29th December 2018. Starting Date and Deadline to submit RRB JE Application form 02nd to 31st January 2019. Deadline for RRB JE Application Fee Payment Online 05th February 2019. JE Online Application Final Submission Date 07th February 2019. Railway Recruitment Board has 21 Zones in Indian Railway. Every year, RRB recruits eligible candidates for Indian railway vacancies. So, Railway Board inviting Online applications from eligible Indian Nationals for the various posts of Junior Engineer. RRB issued employment news CEN-03/2018 for filling vacancies of Jr. Engineer jobs 2019. The job seekers who are interested can participate in RRB Railway Recruitment 2019 procedure since this jobs notification brings the best career option. Most of all these vacancies provide an excellent opportunity for the candidates dreaming of being part of RRB Careers. So, job holders have to apply for these jobs before losing this opportunity. Therefore, Interested persons of Railway Jobs who satisfy the eligibility according to the posts can fill the Junior Engineer Jobs. RRB JE Recruitment 2018 complete details provided for reference. Contenders who are intended to work in RRB JE jobs 2019 can get their required details here. Railway Recruitment released this recruitment notification to recruit candidates for 12,873 JE posts. Those who are waiting eagerly to apply for Latest Railway Jobs in India can grab this excellent opportunity. Therefore, the applicants who are searching for RRB Latest Vacancy 2018-19 in JE Recruitment follow the details shown below. The Workseekers who planned to participate in Indian Railways JE Recruitment 2019 have to check the below details before they apply. Initially, one has to download the notification and thereby follow according to the instructions provided by the RRB CEN 03/2018 Official Advertisement. Those who are willing to apply recruitment drive for RRB jobs for Jr. Engineer vacancies must check especially relevant information about eligibility conditions. For that, one should have a Diploma as per job requirements. The age should be in between 18-32 years. The applicant determination by their execution in Written Test, and Interview as per RRB Notification. So, this RRB JE jobs Notification probably helps you who dream of being part of Indian Railways. Interested candidates check the latest RRB ALP JOBS through this link. You can also check the Advertisement from the official website of RRB. Interested and eligible candidates can apply for these posts. Therefore for detailed information about Railway Recruitment Board 2018-19, i.e., Vacancy Details, Age Limit, Educational Qualification, Selection Procedure, Pay Scale, RRB JE Recruitment 2019 Important Dates follow the information provided below. 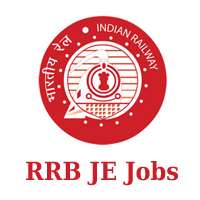 Applicants who are willing to apply for RRB Jobs 2019 Junior Engineer, have to check the Junior Engineer Notification. One should check the details of these jobs because it will help them while filling the application form. 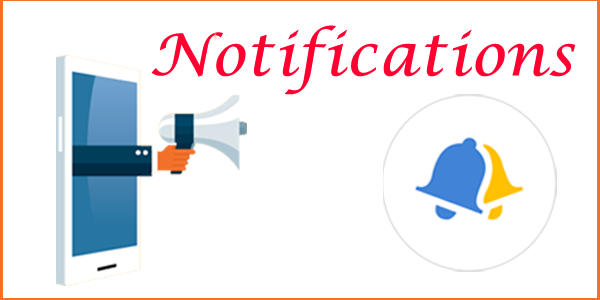 Furthermore, details see the RRB JE Bharti jobs 2019-20 Notification before applying. Therefore Check the vacancies of RRB Latest Vacancy 2019 as soon as notification released. Job seekers of Govt jobs in Railway recruitment 2019 must satisfy the below-mentioned eligibility criteria. Due to provided vacancy details, one can fill the vacancies after checking eligibility requirements. Therefore the candidates before they apply must check whether they meet all the Railway JE jobs eligibility criteria as provided below. First of all the candidates who are planning to apply for Junior Engineer jobs in Indian Railways must check the age limit details. The Applicants of Railway Jr Engineer Jobs must have following qualifications to apply Latest Job Vacancies in RRB. Junior Engineer: Aspirants should possess Diploma/ Degree/ B.Tech/ PGDCA/ BCA from recognized University. Check the RRB JE Official Advertisement 2019 for detailed information related to Eligibility Criteria. SC/ ST/ Ex-S/ Women/ Trans/ Minority – Rs. 250/-. Check the Latest RRB Jobs details along with the Junior Engineer Vacancies in Railway Recruitment Board. Here is the direct link to check the list of RRB JE Recruitment 2018-19. Detailed information about RRB JE CEN-03/2018 available in the individual attachments. So, go through the links and know the Railway Jr Engineer Recruitment in-depth information such as Application Fee for every category, Salary, and PayScale. The basic pay for Junior Engineer jobs: Rs. 9,300/- to Rs. 34,800/- with the Grade Pay of Rs. 4200/-. Application form for this RRB JE jobs released under Railway Recruitment Board 2018. Detailed instructions for filling up RRB JE Recruitment Online applications are available on the website of RRB. Kindly apply the vacancies of the relevant post from the given details. Search for RRB Official Advertisement 2018. Keep all the scanned copies of Photographs, Signature, and Other Documents as per RRB Jr Engineer Notification 2019. Therefore, Submit the RRB Railway Application Form and Take printouts of it. Here is the direct link to refer the RRB JE Official Notification PDF. Click on the link to visit the Railway Recruitment Board Junior Engineer CEN Advertisement. Get RRB JE Recruitment Notification after the official release. Therefore RRB Jr Engineer Jobs 2018-19 Details are given. Hence for any other information about the Upcoming RRB Recruitment 2019 application form, vacancies, Jobs Requirements, Refer the official notification in which given below. Follow our Website for the latest updates on RRB jobs 2018. Sir ex service man hu Mai 3 sal ka diploma Kiya hu but Meri umr 46 h Kya Mai applicable hu ???? SIR I AM SWATI FOR COMPUTER SCIENCE POLYTECHNIC GOVT SAHARANPUR. SO ONLINE FORM WHEN THE FILLUP DATE……..
Hello dear i also have polytechnic diploma in computer science. Railway me junior engineer vacancy Nikki h but abhi cnfrm nhi h hum usme apply kr skte h k nhi abhi notifications me show nhi ho rha. Can Be (Mechanical) apply for the post? Sir, I am persuing ITI. whether I am eligible for this application. Sir, 3rd diploma engineering student can eligible for apply this application? Sir i completed my graduation degree B.Sc course from s.k.b.u university. ..so can i eligible for this junior engineer post? Appearing b. Tech eligible for apply this application? I’m a student of diploma in mechanical engineering. I’m in a last semester of diploma. Can i eligible to apply for this job.